It’s official. Zoodles are a thing. A thing that’s here to stay. I can’t find an authoritative dictionary that recognizes the word, but they’re for real, all the same. 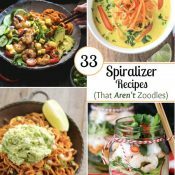 They’ve kept many a food blogger happily creating new recipes until the wee hours … which is just about the time that spiralizer informercials start touting the joys of zoodle-everything. It took me a while to give in. I mean, I had nothing against the idea – I was just too busy with other recipe creations to make it to the zoodle fad. 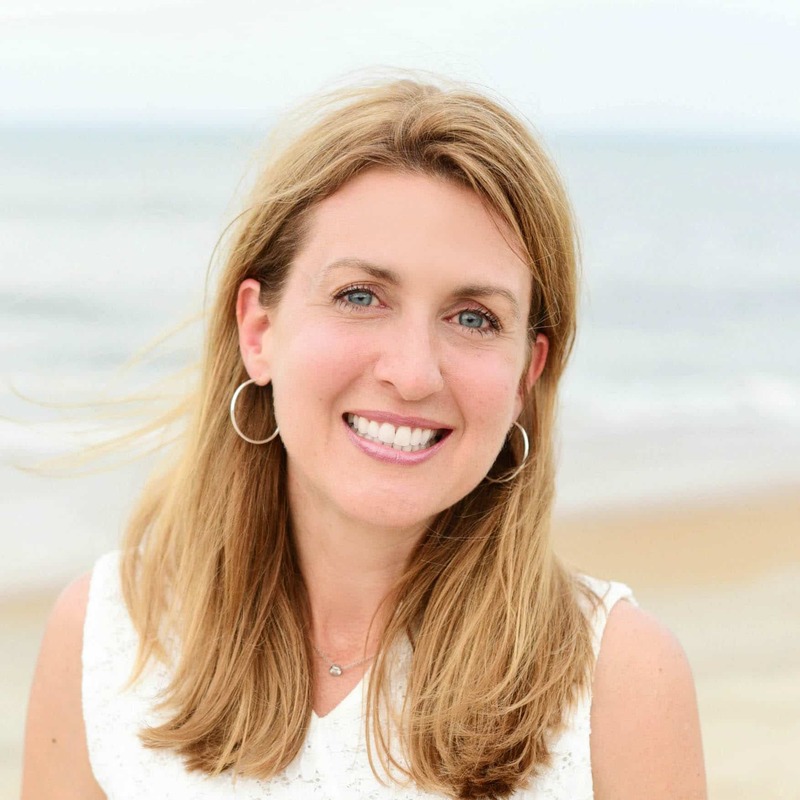 I’m generally a late-adopter, anyway, so why rush things? Finally, after doing a ridiculous amount of research and having unjustifiably lengthy internal debates, I bought a spiralizer (and then a couple more – these are the first two spiralizers I bought, which are still the two I’d recommend checking out: the Spiralizer 5-Blade and the Mueller 4-Blade). I zoodled, and I loved it. My family was enthralled. It seriously was that easy, and mounds of gorgeous, curly noodles appeared from a plain-jane zucchini. In mere moments. Ok. I wanted in. Late-adopter or not, I was the newest card-carrying member of the Zoodle Fan Club. If you haven’t gotten your Fan Club card yet (nor learned the Zoodling alma mater), fear not. I’ve gotcha covered. So, for the totally uninitiated, let’s go back to the beginning. Wellllll … we’ll use some grammar math to sort that one out. Zucchini + Noodle = Zoodle. Depending on the exact contraption you use to create your zoodles, they can come in a variety of shapes and sizes and thicknesses, but spaghetti-shaped zoodles are sort of the basic, most common zoodle species. And Just How Do You Make Zoodles? With a zoodler, of course! Sounds like a Dr. Seuss invention, no? Actually, the technical term for a zoodler is a spiralizer. Spiralizers come in a range of prices and designs, and Amazon is happy to offer you more options than you could possibly hope to sort through. But, like I said, after doing a ton of research and ordering a few to try, these are the two I use and love: the Spiralizer 5-Blade and the Mueller 4-Blade. 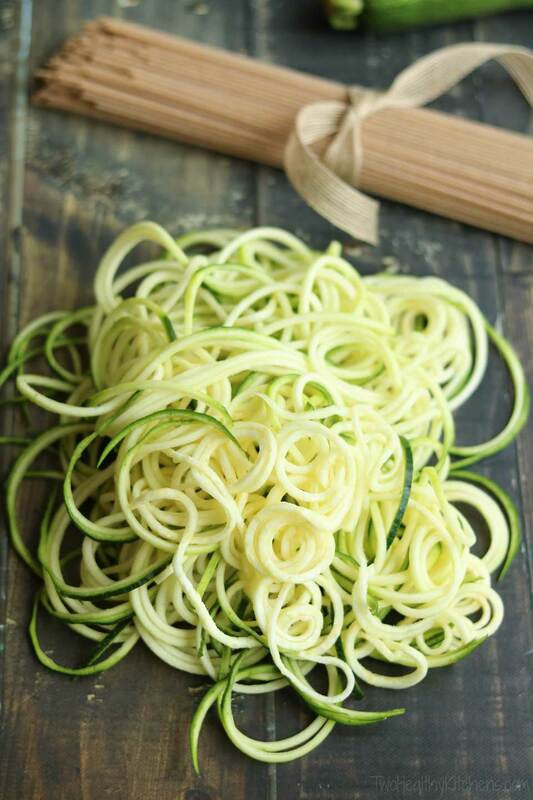 Basically, spiralizers involve blades that … with just a few twists … turn your veggie into spiralized noodles or ribbons. Why are Zoodles So Awesome? 1) Well, for one thing because they’re just fun to eat. If you remember our posts on parenting picky eaters, you’ll recall that one of our pillars is “It’s All About the Marketing.” Cascading curlicues of zoodles make vegetables fun. Sold! 2) Also, they’re nutritious. 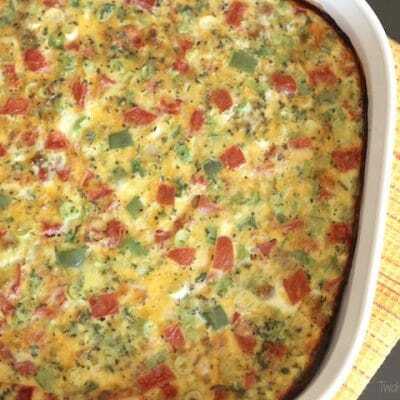 A terrific way to work more veggies into your family’s diet. Like I said, you can spiralize all sorts of produce, working in great nutrition in so many ways. 3) Also, zoodles are honestly quick and easy to make. I’m normally not a huge gadget girl myself, but my spiralizers are truly a snap to use, and they clean up quickly. Totally not a hassle. Convinced yet? Then let’s go! Our Beginner’s Zoodle Recipe is the perfect way to start exploring all the tantalizing zoodle possibilities! Again, going back to our guidelines for picky eaters, it’s often smart to ease kiddos (and … ahem … spouses) into new eating adventures. 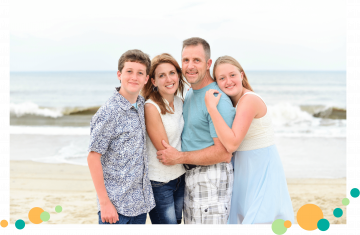 Sure – you may be eagerly signing on the dotted line of that Zoodle Fan Club, but is the rest of your fam just as committed? 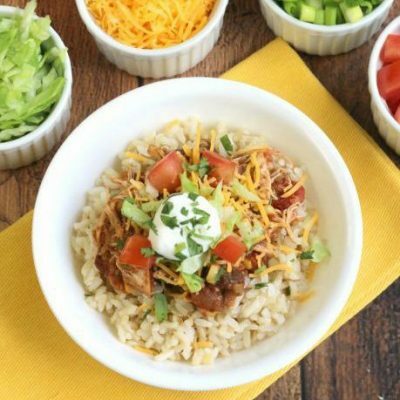 If not, this easy-peasy beginner recipe is a great way to introduce the idea, without scaring off the timid or less adventuresome. In the same way that we suggest introducing whole wheat pasta by swapping some into a recipe, in exchange for just part of your regular, white pasta … here we’re subbing in just a few zoodles for part of the spaghetti you’d normally serve. 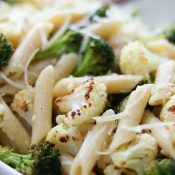 Plus, you reap the benefits of both whole wheat pasta (all that whole grain nutrition!) and zucchini noodles (yay – more veggies!) by using a bit of each. 1) The Proportions are Flexible – The recipe card at the bottom of this post offers a proportion to start you off, but honestly, the exact ratio of pasta to zoodles is absolutely variable. There’s no need to be precise. 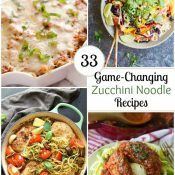 You can change the ratio up depending on how much zucchini you happen to have, or how much your family starts to like love zucchini noodles after a few tries! 2) The Cooking Time Is Flexible, Too – We don’t exactly “cook” the zoodles for this recipe, other than letting the boiling pasta water stream over them as the pasta drains. That gives the zoodles the perfect consistency, in our opinion. They’re not too soft – they’ve still got a tiny bit of toothsome life left in them. But they are a little bit softer – not totally crunchy-fresh. They’re also perfectly warmed through. If your family prefers their zoodles more cooked, you can simply toss the zoodles right into the pasta pot during the last two or three minutes that your pasta is cooking. Or, if you like crunchier zoodles, you can wait to mix them into the hot pasta until after you’ve drained off all the boiling water, stirring the zoodles through just before serving. 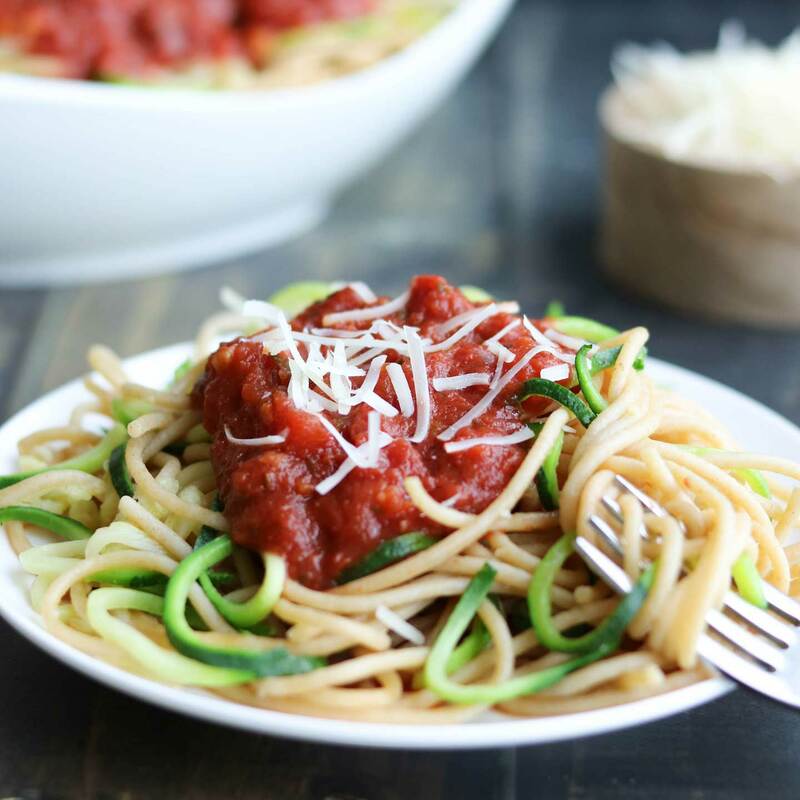 One thing I’ve found about zoodles – they’re super-adaptable. 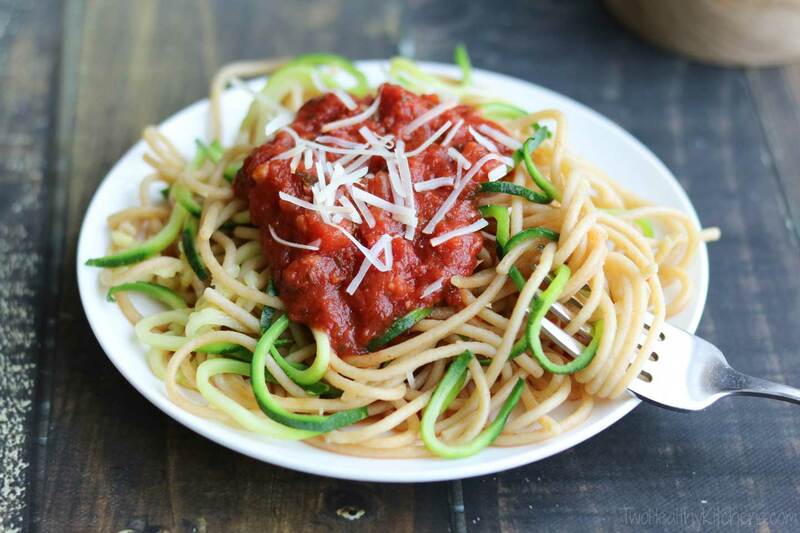 You’ve definitely got choices, whether you choose to make true zoodle recipes with zucchini, or get creative with your handy new kitchen gadget to make spiralizer recipes with other veggies. The first choice is the very easiest, though. Choose to make this zoodle recipe tonight! Meanwhile, make the zoodles: First, remove the zucchini's stem. 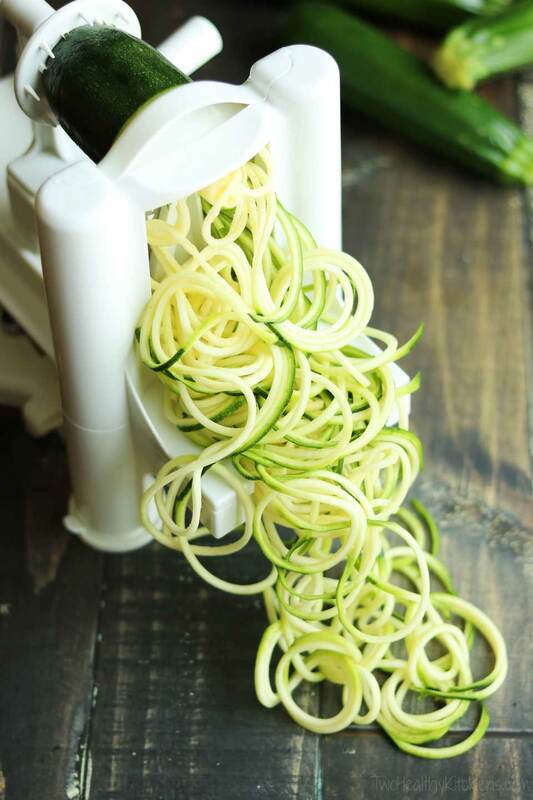 Then, using a spiralizer's spaghetti blade, spiralize the zucchini (which should yield about 8 ounces / 3 cups of zoodles). Place zoodles in the bottom of the colander where you will drain off the boiling pasta water. When the pasta is done cooking, drain the pasta over top of the zoodles in the colander. 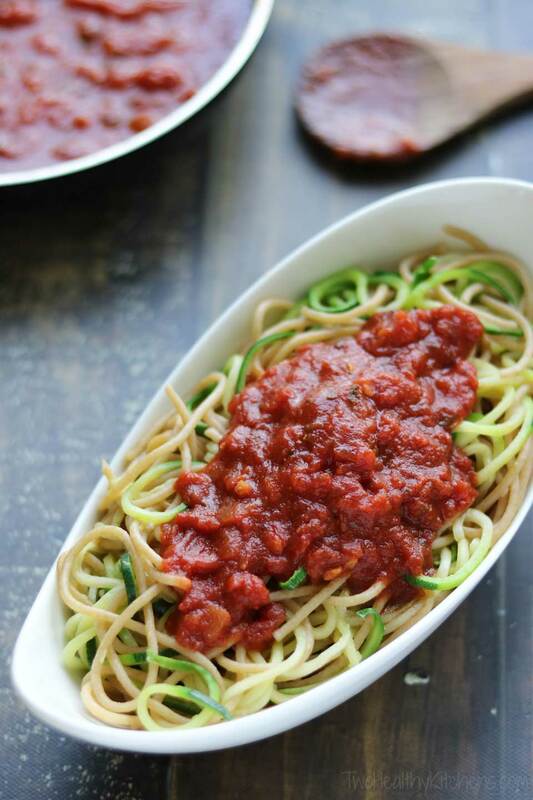 Toss zoodles and pasta together to combine, and place in a serving bowl, topped with your favorite sauce. Zoodle texture: We prefer this method of "cooking" the zoodles, simply by allowing the hot pasta cooking water to drain over the zoodles as you strain the pasta. It warms the zoodles and softens them slightly without overcooking. If you prefer your zoodles more cooked, however, you can add the spiralized zucchini to the pasta pot in the last 2-3 minutes that your pasta is cooking. Alternately, if you prefer your zucchini noodles more al dente, you can wait to toss them with the cooked pasta after the pasta has been drained. Equipment note: As I mentioned in the post, I did a lot of research into various spiralizers before I purchased my first one. I've tried a few, and these two are the ones I liked best and still enjoy using: the Spiralizer 5-Blade and the Mueller 4-Blade. Make ahead tips: You can spiralize your zucchini up to a day ahead and refrigerate until using. Also, the cooked pasta and zucchini rewarms beautifully for leftovers. 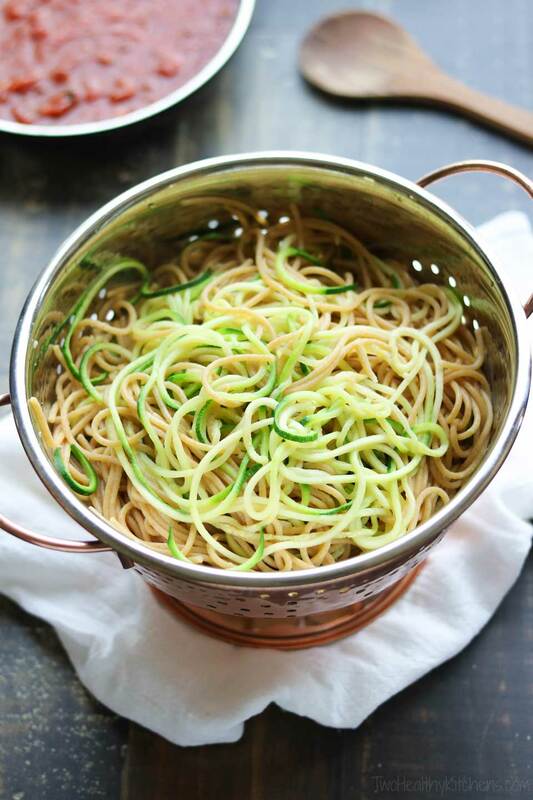 Oh – you must have popped over here from our “Zoodles recipes round-up” (https://twohealthykitchens.com/33-healthy-zoodles-zucchini-noodles-recipes/)! 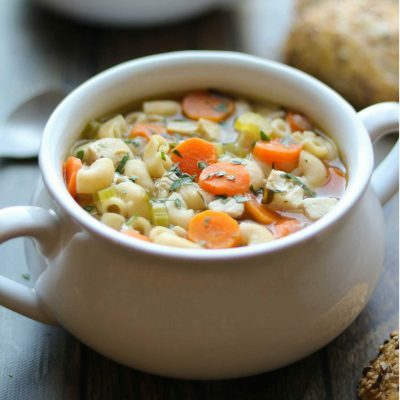 I know – those recipes really all look so amazing – I had a great time narrowing down all the recipe submissions we got, to try to pick out the very, very best ones to share with our readers! And I’m delighted that this one especially appealed to you – it’s the perfect way for you to dive into zoodles recipes! Thanks for this awesome beginner “zoodle initiation” guide! 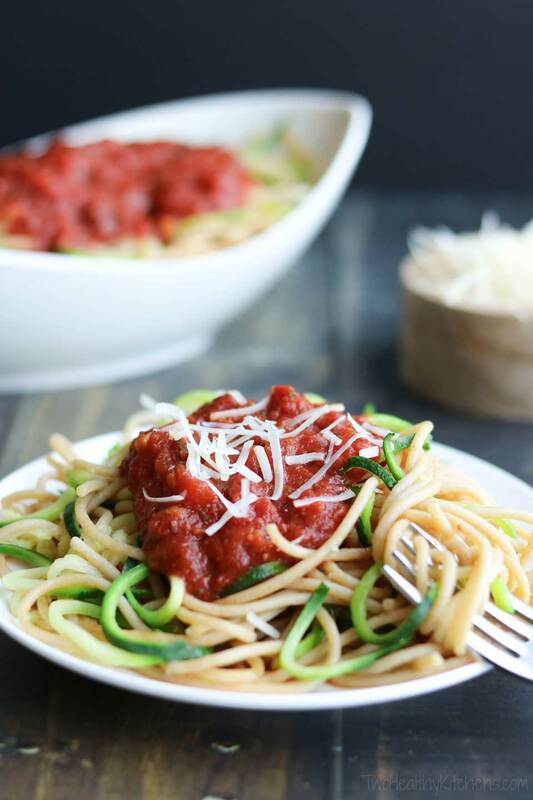 I don’t have a spiralizer, and the zoodles they sell in packs at my grocery store often look sad and limp (and are terribly overpriced), but you may have just convinced me to go buy my own. I love that they’re so easy to use! 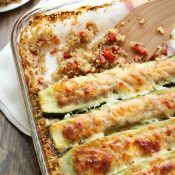 And I actually wasn’t aware of all those health benefits of zucchini – good thing it’s one of my favorite vegetables! Oh Shannon – your note just absolutely made my day! Thank you so much! 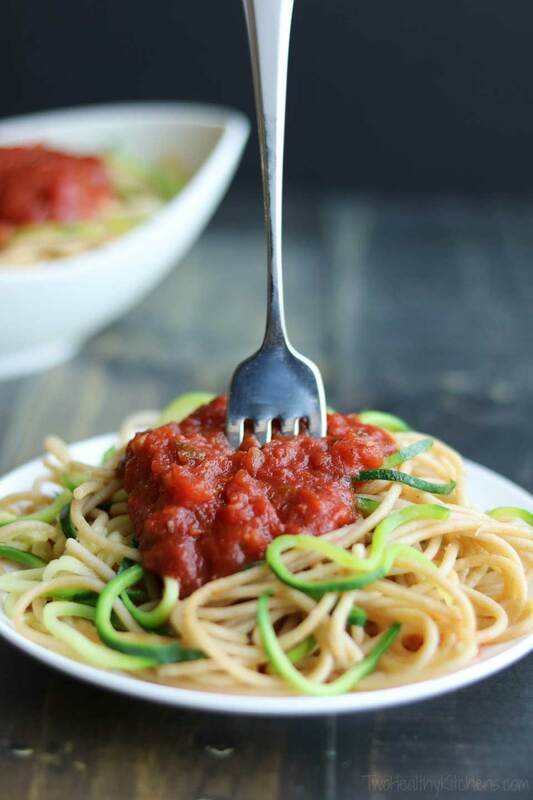 I’m actually working on a couple of zoodle and spiralizer round-up posts, right this very minute (so stay tuned for more terrific ideas on how to use that spiralizer you’re considering!). 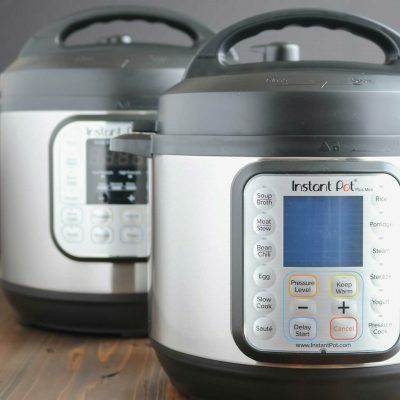 And I’m thinking maybe I’ll even do a little buyer’s guide, since I spent waaaaaaaay too long scouring for reviews and weighing the options before I purchased all mine – may as well help somebody else out in making their buying decision, right?!?! And I hear ya about those store-bought zoodles! I was really excited to see some at Costco a few weeks ago, and they had a little demo station set up to try them. I was NOT impressed. Disappointing. When it’s so easy to make your own in moments, why buy those sad, bedraggled, pre-packaged ones?